Good day lovely blog readers! 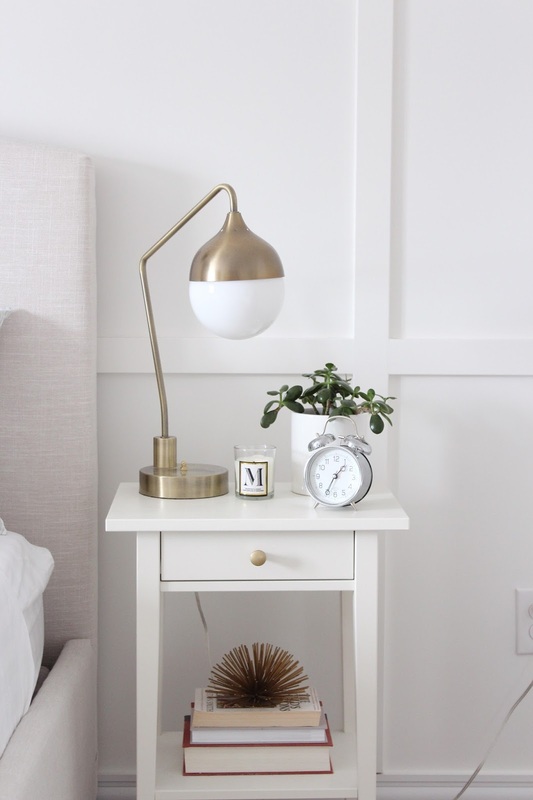 I am so excited about today's post and can't wait to tell you about our sleep situation. Let me start off by saying that I have been struggling with chronic lower back pain for almost 3 months now. Our previous mattress was shot and had been damaged when our movers folded our king mattress in half to fit it up the stairwell when we moved in. 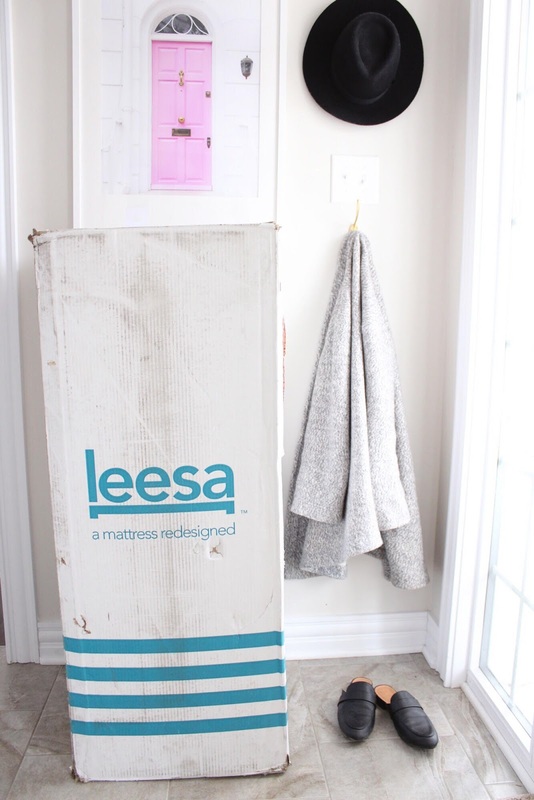 For these reasons and more I was sooooo excited to partner up with Leesa® and try out the mattress that everyone is raving about. Well let me say guys, it did not disappoint. We have been sleeping on this mattress for about 2 weeks now and I am literally giddy and please believe me when I say that I am no longer having any lower back pain....none! 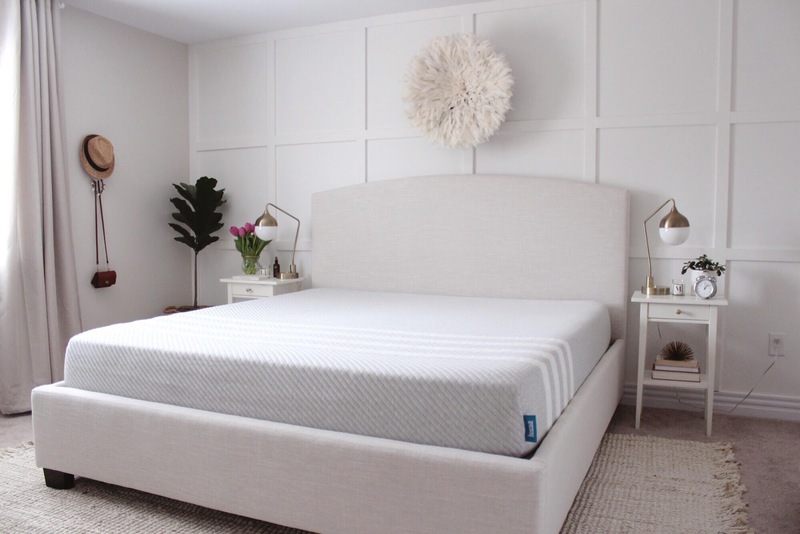 I almost don't want to jinx it by saying it out loud but our Leesa® mattress has been a lifesaver. I would describe this mattress as a little more on the firm side, yet cushy at the same time. I know that makes no sense but it's the truth- it almost feels like it's hugging you when you lay into it and supporting you everywhere you need it, which for me is my lower back. My husband loves it too and we have both been sleeping amazing on it. So as I mentioned above when we moved into our new home our previous mattress got damaged when the movers bent it to get it up the stairway. Well you can imagine my face when our king size mattress arrives at our door in a box...how? First off, I'm sure any parent can agree with me when I say that the idea of going to a big box store to "mattress shop" with two young kids would be a stressful and not enjoyable experience. The convience of a mattress showing up on your doorstep as a busy parent is just an amazing option to have. Ok, so the mattress arrives compressed in a box making it super easy to transport which for us was amazing for getting it upstairs and into our bedroom. 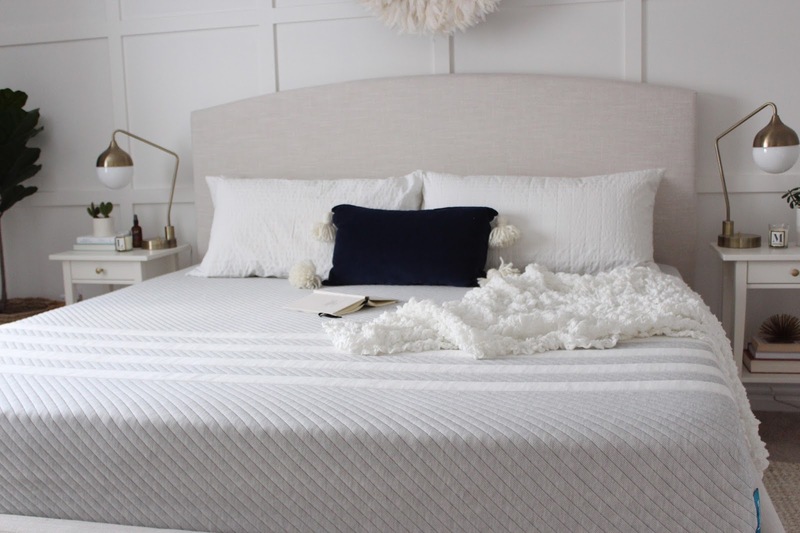 When you open up the mattress it's vacuumed sealed flat and once you lay it out on your bed where you want it you simply open the seal and BAM, it expands into this amazing 10" luxury foam mattress. I couldn't believe how fast it decompressed, my son was amazed. Now as to be expected the mattress had a little bit of a new product smell when we first unboxed it, however it quickly dissipated and was not an issue. 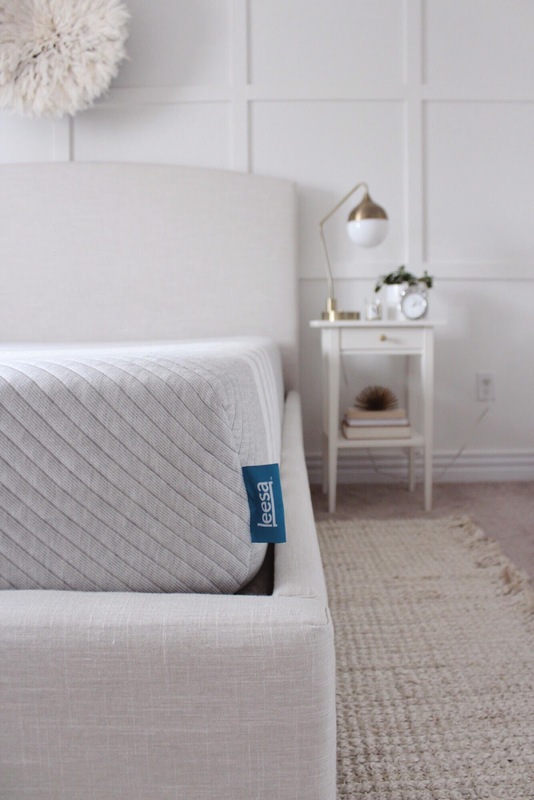 It's great because Leesa® offers a 100 night trial of their mattress so you can actually sleep on it for 100 nights and if you aren't satisfied or happy with it they will take it back- a total win win! And guys...it's so pretty! 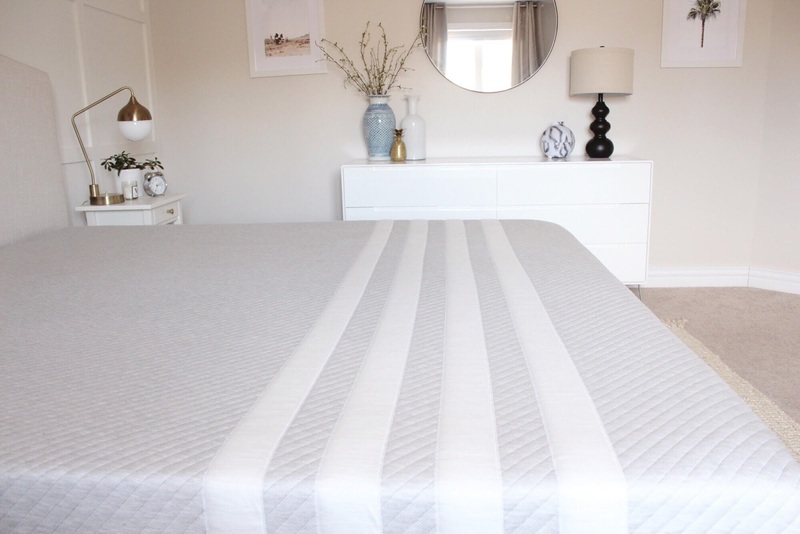 It has this gorgeous grey quilted cover over it with these beautiful classic white stripes. I didn't even want to put sheets over top it's so luxurious. We shall meet again on laundry day pretty cover. Ok so now let's move on to dressing the bed up and showing the rest of our room! 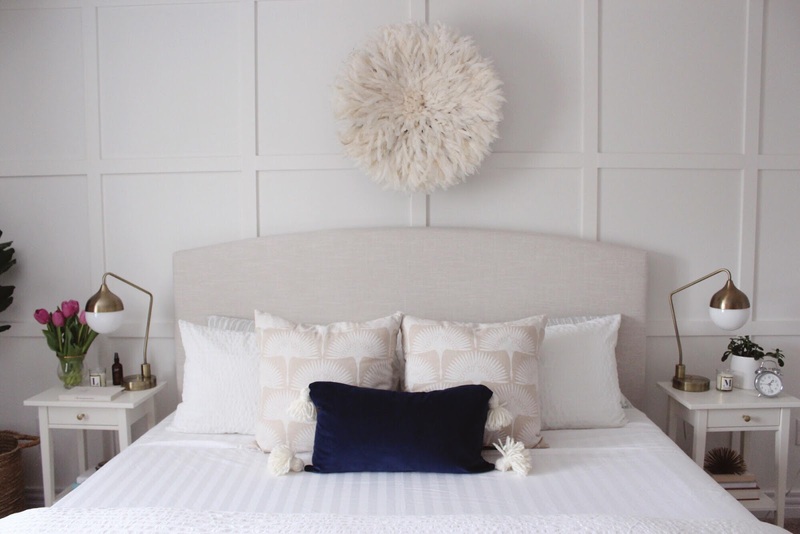 I am a sucker for classic white sheets/bedding and find myself always going back to that fresh, airy look. 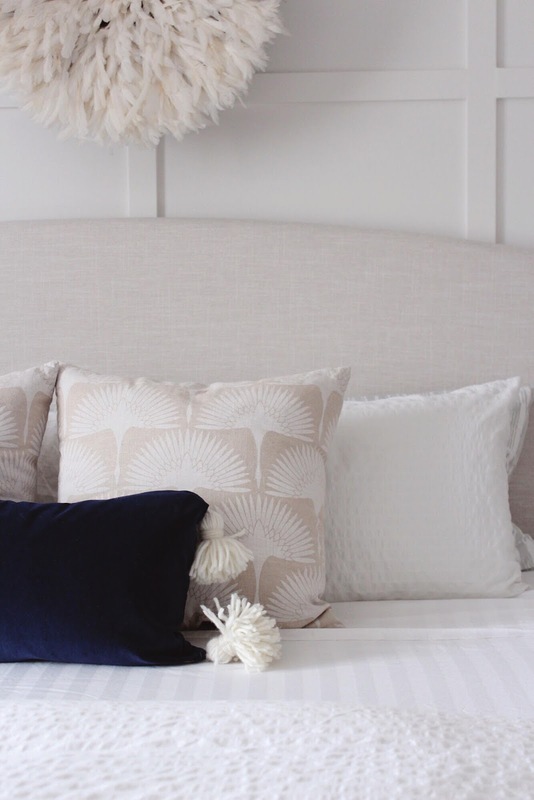 However, I have been loving incorporating a bit of colour into our space lately and I adore this gorgeous velvet indigo blue pom pom pillow from Pepper B Design. 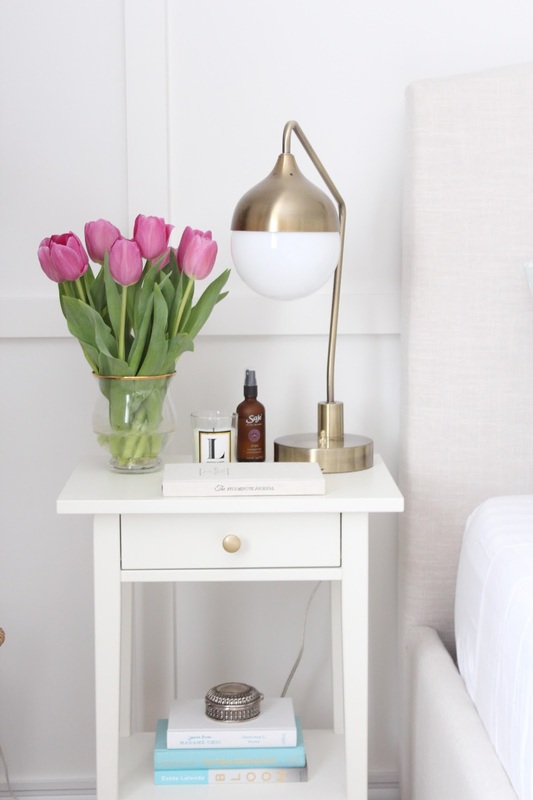 It looks so pretty on the bed and is a nice little switch up for spring. I especially love the brass zipper across the bottom- no detail forgotten! 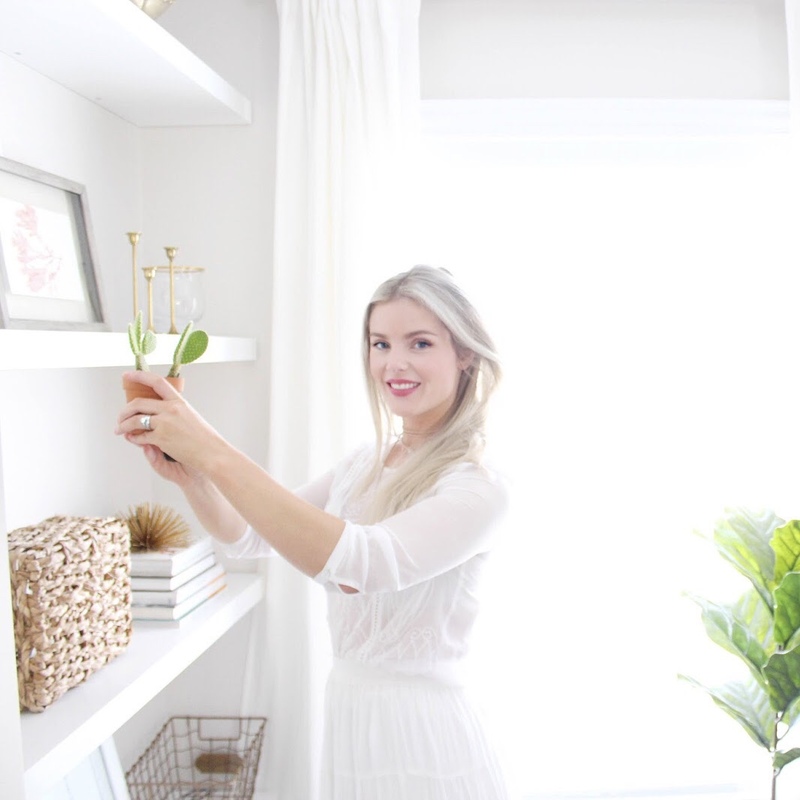 I have changed a few things since I revealed this space back for the One Room Challenge last year and I am loving how swapping out bedroom decor can have such a big impact. 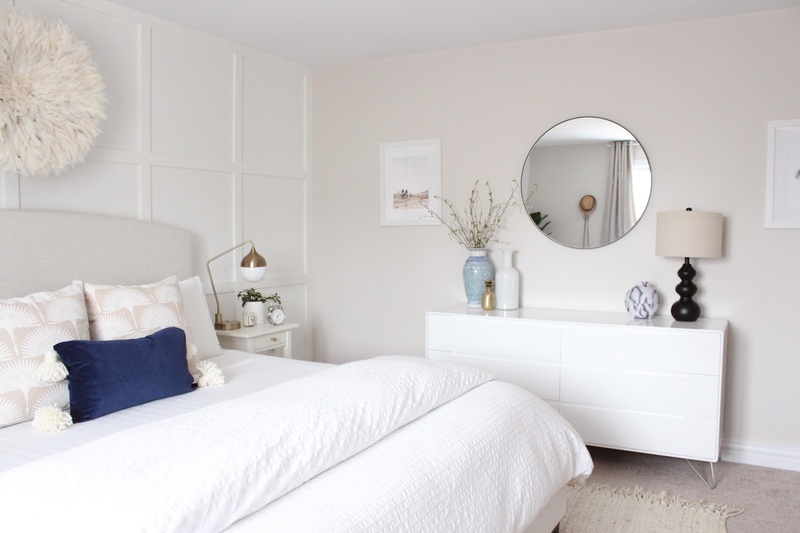 I hope you all enjoyed this spring bedroom reveal and if you want to check out the Leesa® mattress you can click here! I also have an awesome coupon code for $100.00 cad off or $75.00 usd off your mattress purchase which is "HOUSEOFHIRE". Twin, twin XL, double, queen or king sheets to fit the bed you have are also significant items that must be considered when buying bed sheets. silk bed sheets Just give these sheets a chance and you may never want to change.